ANAHEIM, Calif. – NAMM Booth #5810 Hall B (January 22, 2014) – Pioneer Electronics (USA) Inc. Professional Sound and Visual Division today launched the REMIX-STATION 500, which enhances DJ performances with its ability to generate a range of sound effects with a variety of buttons and controls, all accessible at the user’s fingertips. 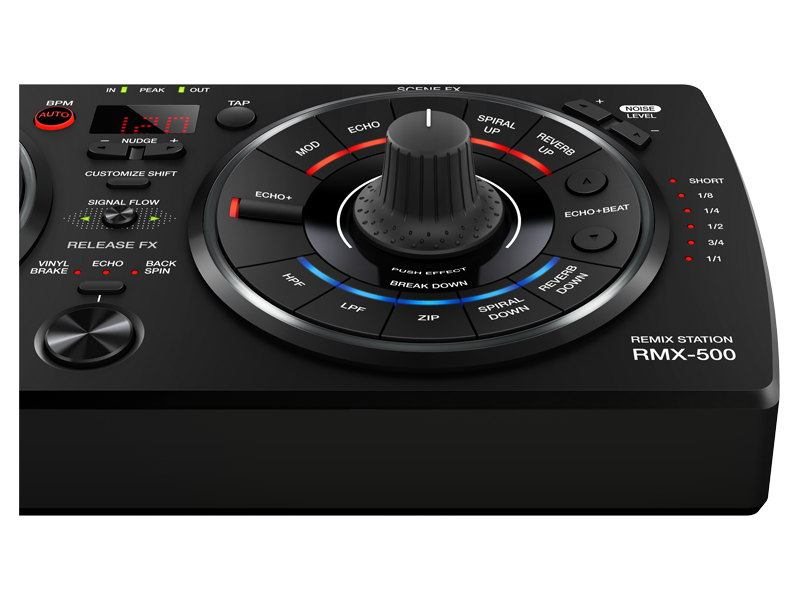 The REMIX-STATION 500 offers three effect sections, Rhythm FX, Scene FX and Release FX, for simple musical arrangements and features the industry’s first “Pressure Controller” knobs, which further alter and vary the effects of the arrangements. In addition, the system can also act as a USB controller when used with the included VST1/AU2/RTAS3 RMX-500 Plug-in software. The Rhythm FX section of the REMIX-STATION 500 offers five audio effects, ROLL, TRANS, ADD, REV DELAY and OFFSET, which cuts up and manipulates parts of the music playing to produce new rhythms. The effects can be increased and decreased with a turn of the large knob as well as altered when the knob is pushed down, activating the pressure controller. The Rhythm FX section also incorporates five Instrument buttons (KICK, SNARE, CLAP, HI HAT and CYMBAL), each offering six different patterns of sound that can be added with a simple touch. 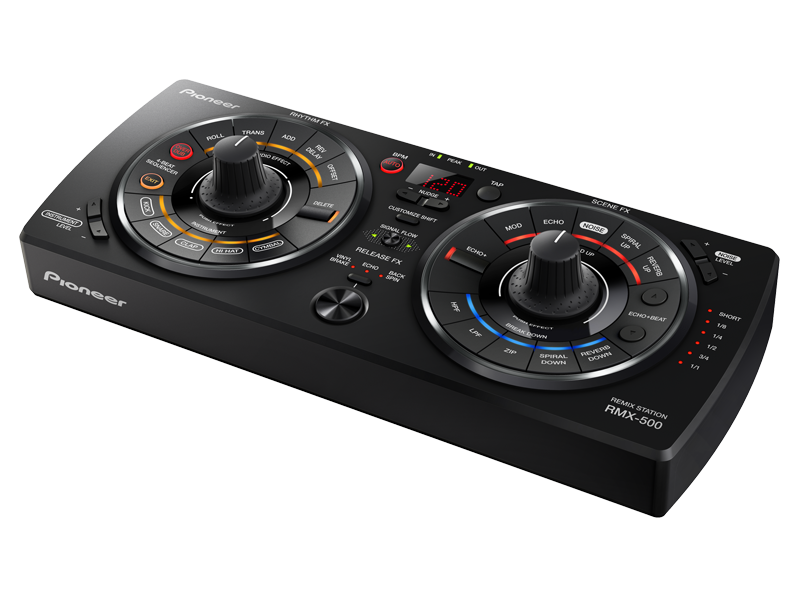 The unit also features a 4-Beat Sequencer with an OVER DUB button, and when activated, enables users to record one bar of each instrument button for more unique sound effects playback. 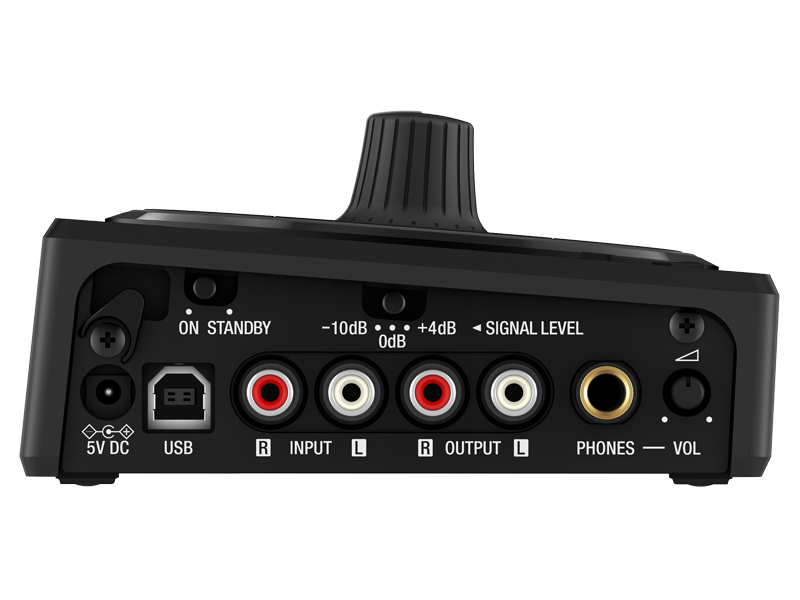 The OVER DUB can also be deactivated after the recording process and while playback occurs, to then give users the ability to tap each button for additional instrument sounds. In the Scene FX section, users can choose from five Build Up effects and five Break Down effects. The Build Up effects, consisting of MOD, ECHO, NOISE, SPIRAL UP and REVERB UP, add sounds, while Break Down effects, consisting of HPF, LPF, ZIP, SPIRAL DOWN and REVERB DOWN, cut sounds. The large knob increases or decreases the parameters of the chosen effect with a simple turn as well as changes the effects with a push of the knob. Two sub-parameters knobs are also available for additional changes to the effects being produced. The system also includes a Release FX button that eliminates the current music playing and leaves only the sound effects when activated. Release FX can also be used to create the opposite effect: When the button is disengaged, all section effects are eliminated while the original music continues to play. Three types of Release FX are available, Vinyl Brake, Echo, and Back Spin. Using the included REMIX-STATION 500 VST/AU/RTAS plug-in software, users can create the same types of music production and effects while producing on a computer. In addition, connecting the device to a computer enables it to act as a controller for music production. The REMIX-STATION 500 will be available in February with a suggested retail price of $499. 1Virtual Studio Technology is a format that enables the addition of new effects and instruments to applications for the production of music. Audio Units is a format that enables the addition of new effects and instruments to applications for the production of music. 2 Audio Units is a format enabling the addition of new effects and instruments to applications for the production of music. 3 Real Time Audio Suite is a format of audio plug-in developed by Avid Technology. The Audio Units logo is a trademark of Apple Inc. Pro Tools and RTAS are registered trademarks of Avid Technology, Inc. or its subsidiaries in the United States and/or other countries. 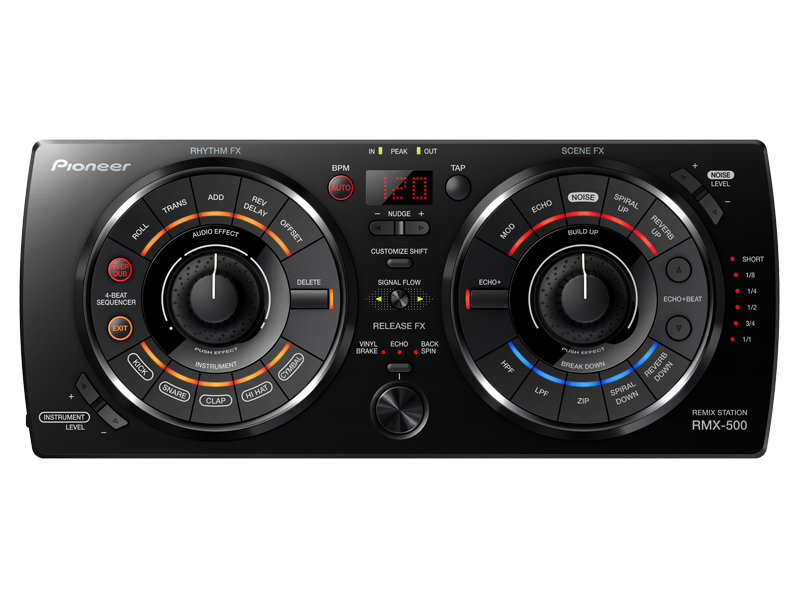 Pioneer offers a complete line of professional DJ Equipment through its Professional Sound & Visual Division. Its DJ products are industry standards at clubs, studios, mobile rigs and homes around the world, known for their high quality sound and reliability. For more information, visit www.pioneerdjusa.com. Pioneer Electronics (USA) Inc. is headquartered in Long Beach, Calif., and its U.S. Web address is http://www.pioneerelectronics.com/. Its parent company, Pioneer Corporation, established in Tokyo in 1938, is a preeminent manufacturer of high-performance audio, video and computer equipment for the home, car and business markets. I never understood the point of having these if you have a DJM 800/900/2000. Same thing with back in the day w/ the 500/600/909. I'm willing to get learnt though. It is similar to DJM 800/900/2000! No difference at all!! An Fx unit is not a mixer. Does Pioneer even still make it? Guitar Center only has the RMX-1000. Thread is from 2014 so I'm guessing no. I am searching for a single-Deck controller, that talks MIDI. I am Using mixxx. Pre-recorded mix: how would you do it? Here goes a question from my extremely candid, totally NOOB perspective.